What!!!! Two post in the same week!! Crazy!!! So in March of this year I was able to go and visit my friend Amy (we've been friends since Nursing school- golly thats been almost 15 years!!!) She showed me how to make the Deco Mesh and Burlap wreaths! Um I kinda have gone crazy with them..... This is the 4th (of 7-- see crazy) one I have made but the pics of the others are on my other computer so I will share those at another date. Love it! So happy to see both you and Robyn back posting! You guys are awesome! 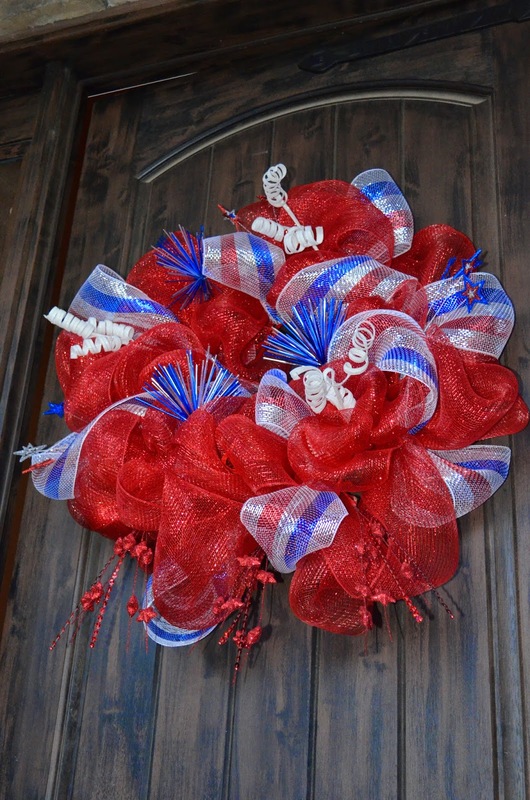 Love these kind of wreaths. Need to learn how and make some too!!! OMG Karlee, where have you been :) You've been missed. Love the wreath, it came out gorgeous. That's so popular now. I usually watch you tube videos to learn how to do it. There are some amazing things you can make with that mesh. Love the wreath! I would love to see a tutorial on how to make one.